Personal attacks levied against Prime Minister Justin Trudeau are not meant be taken personally because, like a rapper, that’s just the way U.S. President Donald Trump talks, said the president’s controversial former press secretary. U.S. President Donald Trump's personal attacks against Prime Minister Justin Trudeau shouldn't be taken personally because that's just Trump's "style," said the president's controversial former press secretary. "The president's obviously a businessperson first," Anthony Scaramucci told host Vassy Kapelos on CBC News Network's Power & Politics. "He has a style, and an operating style, that's very, very different from the typical discourse and the typical language that you would experience in Washington. "And just like sometimes in the rap community they have their own urban dictionary, the president has his own Trump dictionary, if you will." Scaramucci went on to say that Trump has great respect for Trudeau, likes him personally and thinks he is an effective leader — and that Canadians shouldn't read too much into Trump's personal attacks. "I certainly don't think you guys are foes. If anything, I think you are our best friends, but there's some tension in the relationship and that can sometimes happen even among brothers and family members." Before Trump arrived in Canada for the G7 summit he fired a shot at Trudeau, calling the prime minister "indignant" for holding to Canadian positions on supply management in the dairy industry and trade generally. After leaving the summit, Trump tweeted Saturday that he was withdrawing support from a G7 joint communique, while complaining he had been blindsided by Trudeau's criticism of U.S. tariffs at a closing G7 news conference. Trump's surrogates piled on over the weekend, with White House trade adviser Peter Navarro telling Fox News that "there's a special place in hell" for Trudeau — comments he later walked back. Trump's economic adviser, Larry Kudlow, suggested Trudeau's comments somehow made the president look weak on the eve of a summit meeting with North Korean dictator Kim Jong-un. Scaramucci said that while the attacks against Trudeau looked personal, they were not meant that way. "The president is using that as a cudgel in the negotiation process," he said. "He means very well for the Canadian people. He wants a deal to go down, particularly with NAFTA as it's renegotiated, that does a little bit better for the American workers." 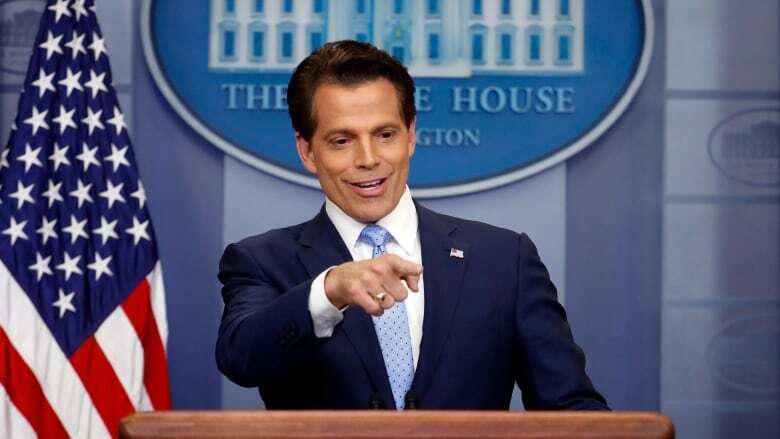 Scaramucci said that Trump's comments were intended to make a macroeconomic statement about the state of trade and further Trump's stated goal of improving life for the working and middle classes in the U.S.
"I really do believe cooler heads will prevail here, there will be a de-escalation of the rhetoric and there will be an escalation of common sense, and that will lead to a fairer deal for working families on both sides of that border."